9 styles, made in our own workshops, using traditional methods. Hand finished and gold plated. Individually packed in robust presentation boxes. Acid free paper pad included for use as backing to your painting. Supplied, as standard, with precision domed convex glass . Flat (F) glass is also available. Most styles are available in portrait format only unless other wise stated. Artists Base size will be the same but make an allowance for the rebate cover. Plain D shaped cross section with floral hanger. Flat cross section with embossed floral design. 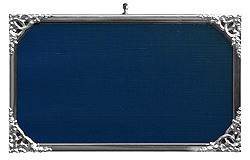 Flat cross section with embossed acanthus design. 4 5/16" x 3 3/8"
Flat cross section embossed with floral pattern. 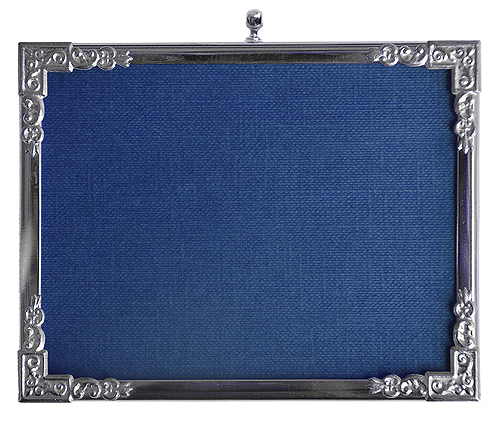 1 15/16" x 1 9/16"
Small rectangular frame with gilt finish rope design. 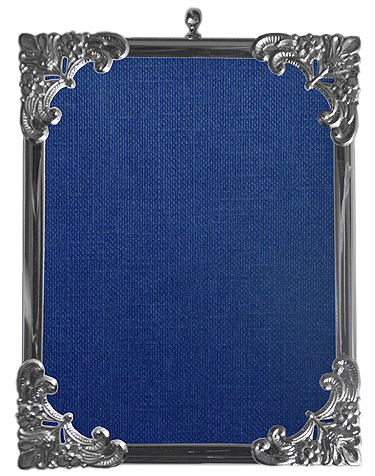 Flat cross section frame with embossed ribbon and reed design and bow hanger. 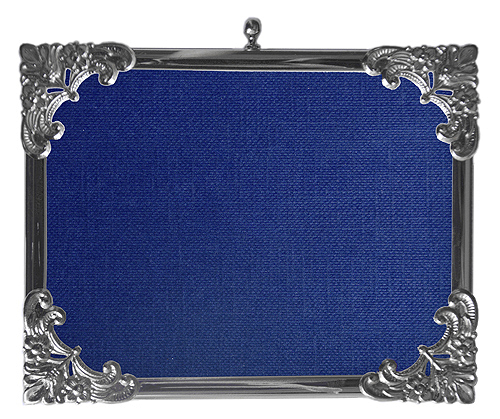 Large Flat cross section frame with embossed ribbon and reed design. Small Ornate Gold reproduction supplied with Convex Glass. 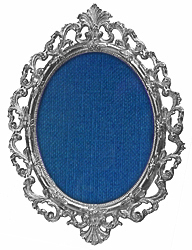 1 7/8" x 1 9/16"
3 9/16" x 2 11/16"
3 1/2" x 3 7/16"
Small Oval frame with embossed leaf pattern design. supplied with Convex Glass. 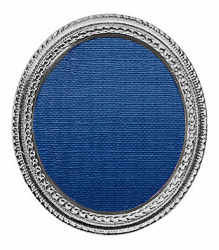 Small Oval frame with embossed ribbon and reed design. 1 7/8" x 2 1/8"
Medium Ornate Gold reproduction withembossed Vine and Reed design. 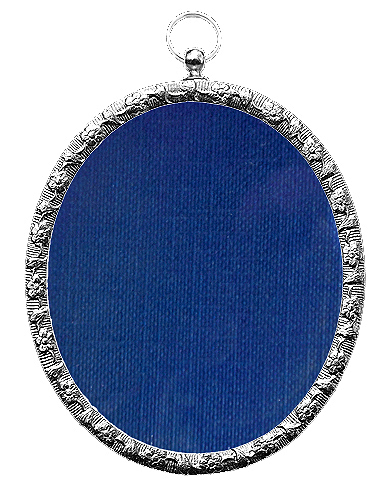 Medium Ornate Gold reproduction supplied with Convex Glass. 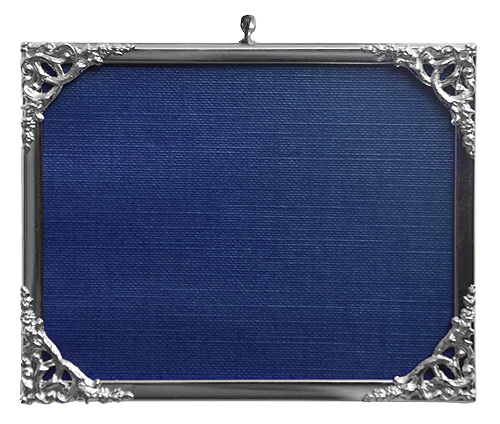 4 5/8" x 2 7/8"
This flat cross section frame with an ornate spandreled corner design is one of the latest in our Silver plated range. 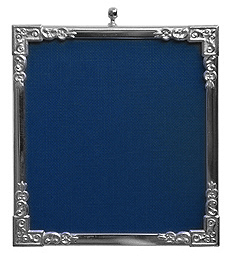 The frame, unique to Polymers Plus, is completely hand made and designed with the traditional portrait or landscape artists in mind. 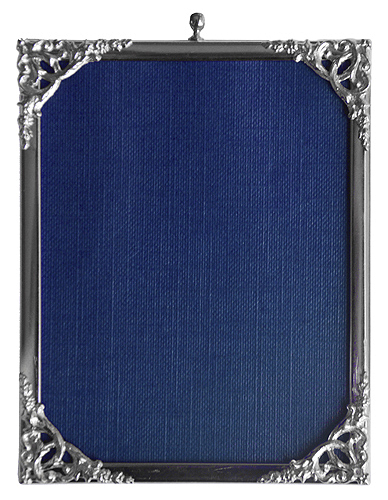 Please add P (for portrait) or L (for landscape) after the frame code. 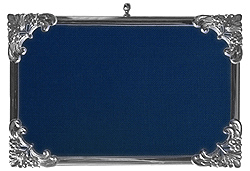 This flat cross section frame with a celtic spandreled corner design is one of the very latest in our Silver plated range. 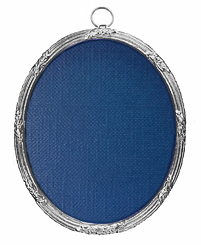 The frame, unique to Polymers Plus, is completely hand made and designed with the traditional portrait or landscape artists in mind. 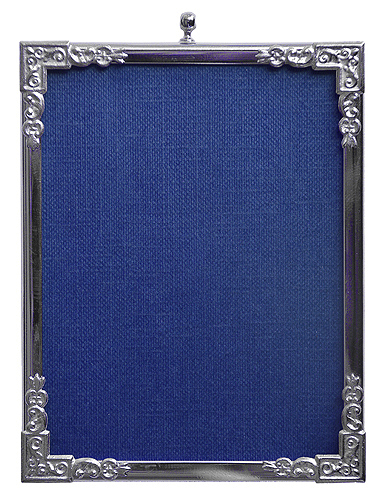 This flat cross section frame with a floral spandreled corner design is the very latest in our 24ct gold plated range. 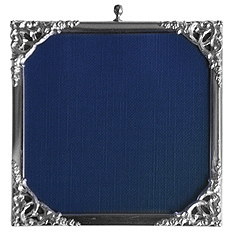 The frame, unique to Polymers Plus, is completely hand made and designed with the traditional portrait or landscape artists in mind. Square and Rectangular design made to your own dimensions. Please specify the glass/image Size and whether you require it in Landscape or Portrait format. 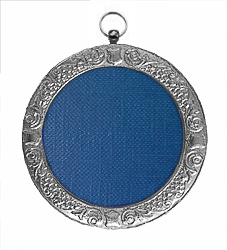 We also need to know whether you need Ornate, Celtic or Floral corner spandrels. 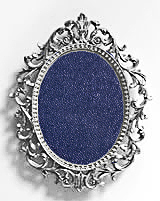 Frames are supplied with convex glass for all sizes up to 5½ " x 4" (140 x 100mm). Individually boxed. Please expect a normal delivery time of 3-4 weeks for this range.